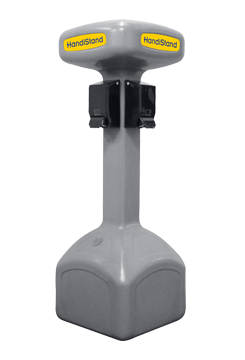 Freestanding Hand Sanitizer - Rightway Site Services Inc.
Portable hand-sanitation stations provide quick access for hand-washing at many types of special events, and other places where these accommodations are not readily available. The ability to wash hands after using the facilities helps makes your event sanitary. At events it also makes guests feel more comfortable about using the facilities. While we do offer portable restrooms with sinks inside, but sometimes a portable hand-sanitation station can be more efficient and effective. It’s a great idea to have a hand-sanitation station new food vendors and near your toilets to keep flow of use moving.